COPS in B Division have arrested three persons and recovered a stolen car as they continue their investigation into a robbery that occurred at 1165 Galaxy Street, Cane Field, New Area, East Canje, Berbice on Saturday night. 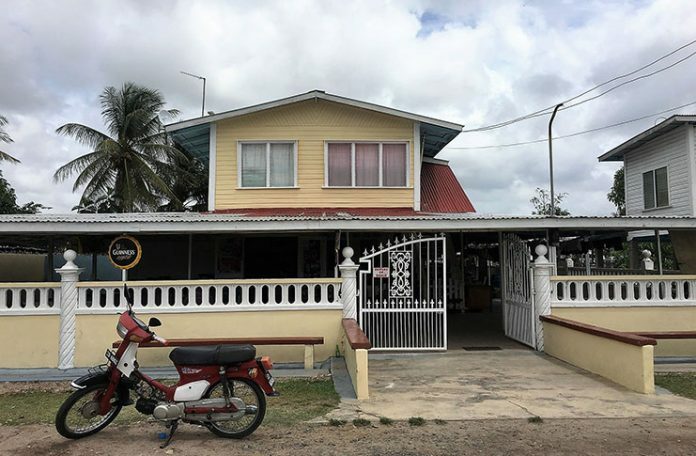 According to information reaching Guyana Chronicle, at around 22:00 hrs, three masked men, two of whom were armed with guns and the third a cutlass, stormed Indra’s Grocery and Beer Garden, belonging to the Seloochan family. During the 15-minute ordeal, the men relieved about 20 persons, who were on the street and in the shop at the time, of their cellphones, cash, jewellery and car keys at gunpoint after forcing them to lie on the ground. Neil Seloochan, a son, who tried to fight back using a bottle, was gun butted and surrendered after he realised the men were serious. He later had to receive medical attention for a cut to the head. One of the men, armed with a cutlass, then proceeded to enter the house through the kitchen area and came face-to-face with the owners, Premchand Seloochan, 62, and his wife Taramattie Seloochan, 53. Speaking with Guyana Chronicle, Taramattie said she was unaware of what was happening and saw the man walking into the kitchen. She said as she got closer and tried to raise an alarm, the man with the cutlass dealt her a blow to the head, knocking her to the ground. Taramattie broke her spectacles in the process and, fearing for her life, she remained on the ground. Turning his attention back to Premchand, the bandit took a watch and ring he had in his possession as well as his cellphone. He was then taken into the shop where the bandits demanded phone cards, money and anything of value. After being satisfied that they had all the valuables from the shop, the men then proceeded upstairs and took away a chain from his daughter-in-law, who was unaware of what was happening. She was with her three-year-old son. The bandit forced the young woman to take them to the rooms of the house which they ransacked as they looked for more valuables. Before leaving, the men took away the CCTV footage and fled the scene in a car belonging to one of the customers. The family raised an alarm and the police arrived promptly, but the robbers were nowhere to be found. Based on a description provided by the family, the police arrested three persons and found the stolen Toyota Allion motor car abandoned at the back of a village in the vicinity of New Amsterdam. The Seloochans say they have lost all the jewellery that they spent years acquiring, as well as an undisclosed amount of cash and other valuables. Based on information provided, almost all the patrons were relieved of their cellphones and cash. Police are continuing their investigation into the robbery.